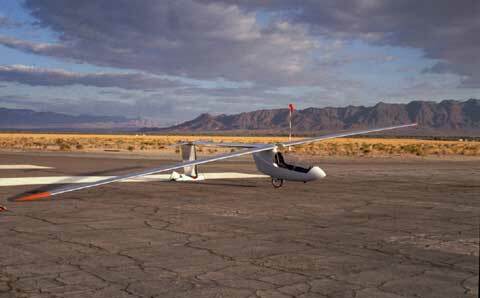 Eric Raymond's Sunseeker 1 is a solar powered glider that can take off like a normal plane, and power or glide all day. Eric Raymond first experienced solar powered flight in 1979, when Larry Mauro demonstrated his Solar Riser. 1981's debut of Paul MacCready's Solar Challenger was next.